A water disaster is a very time-sensitive situation. Every minute that a flooded home goes without being restored the damage grows. To illustrate this, below are descriptions of what typically happens to water-damaged homes after minutes and weeks. Our hope at Yellow Van in the Grand Island area is that our community reduces the risk of intense water damage by understanding how important it is to call in a professional water damage restoration company immediately after the damage happens. Within the first few minutes, the water will spread rapidly throughout the home affecting as many areas as it is able to spread to. The finish on moisture-sensitive furniture can already begin turning white due to the water. Finally, the furniture standing on water-saturated carpets will begin to leach and stain the carpets. Within just hours, furniture that is in direct contact with water will begin to delaminate and swell. It is still repairable at this point but will require serious restoration efforts to repair. Also, the normal odors within your home will be amplified by the high levels of humidity making them very strong and apparent. Last, the dyes from fabrics may begin to bleed. After days, the effects of water damage can become very serious. As a result, the restoration process will take longer, cost more money, and be more dangerous. One of the most common effects of water damage over multiple days is the spread of mold. This will create a musty smell in the home and cause damage to the walls, ceilings, even further. Wood floors will become severely warped and damaged, possibly even beyond repair. Paint will also begin to blister and wallpaper will peel away from the walls. After weeks of water damage, very serious problems have likely developed. First, mold will deeply root itself into organic materials completely destroying them in many cases. If this happens in the walls or ceiling, they may need to be torn down completely to eliminate all the mold. Because of this mold growth and other health factors such as insects and contaminated water, occupants of the home must be evacuated for their own health. Finally, a complete gutting of the home may be necessary to overcome the damage that was done. This will severely increase the overall cost of repairs and make the home unlivable while the repairs are taking place. 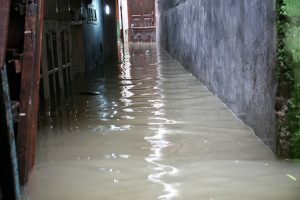 Water damage is a common problem. It happens to thousands of homeowners every year despite their best efforts to prevent it. What is most important is that if it happens to you, you should get in contact with a professional cleaning and restoration company right away. We at Yellow Van in Grand Island are one such company are here for you to quickly and effectively restore your home after any type of water damage disaster.